#Focus5 has funding available to support young parents aged 15-18 with the cost of childcare, whilst they take small steps back into education, employment or training. The UK has the highest teenage birth rate in Western Europe, five times that of the Netherlands, double that of France and more than twice that of Germany. Those who are more vulnerable to becoming teenage parents include young people who are: in or leaving care, homeless, underachieving at school, children of teenage parents, members of some ethnic groups, involved in crime, or living in areas with higher social deprivation. ‘Not the end of the story’, a Barnardo's project, is a really important piece of research that shows teenage mothers who are not lucky enough to have supportive families are an isolated and vulnerable group, strongly associated with deprivation and educational underachievement. At an age when their peers are still in school or college or taking their first steps into employment, teenage mums risk being left behind, constrained by a lack of suitable childcare. In fact, childcare is still the single most important factor in enabling young mothers to return to education. According to Save the Children, even taking into account free childcare hours and government subsidies, the cost of childcare for two children can be more than £8,000 a year. That is 39% of a mum's take home pay, on an average salary - twice as much as she pays in tax. Parents say childcare bills are still too high, with many claiming it costs more than their mortgage or rent, or that it doesn’t make financial sense to go back to work. A mother in an average family with young children could be losing between £3,400 and £11,400 a year because they can’t get into work or aren’t able to increase working hours. Several young women interviewed by Barnardo’s had abandoned the career aspirations they'd had before becoming pregnant, expecting their future to be limited. However, with the right support and belief they were able to resume their education and rediscovered their aspirations, improving their own chances of success and the life chances of their babies. This proves that becoming a mum at an early age need not be the 'end of the story' and that there is very much a place for organisations such as CSW Group and their #Focus5 project, in delivering the funding and support to help teenage girls get back on track, when they are ready. Dr Jane Evans who worked on the Barnardo's report says, "We're not denying that being a young mum brings extra challenges, but teenage motherhood shouldn't spell the end of the story. Helping and supporting young mothers back into education will afford them greater independence and secure a better start in life for their children." Many professionals believe that motivation levels actually increase in a young mum once their baby is born, so there is a real opportunity there for support organisations to reach out and help them plan their future. If education or training can be tailored to their specific needs, they may see more to their futures than a life spent on benefits. 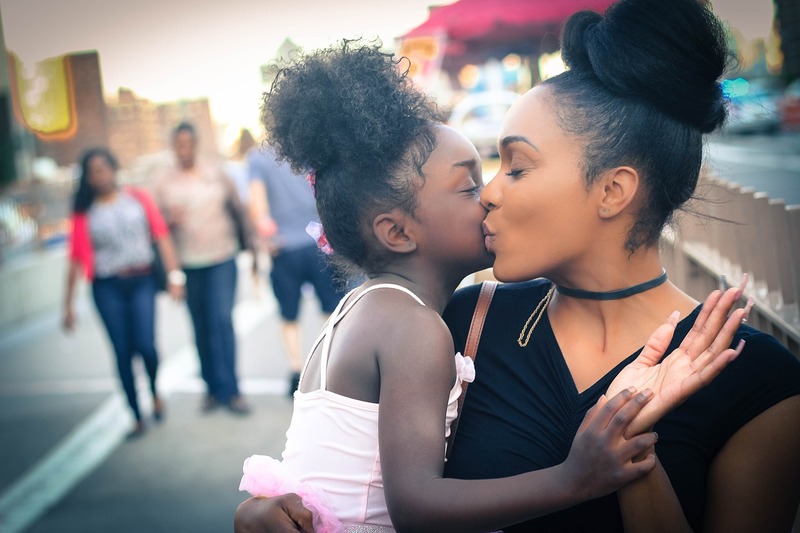 Letting girls choose how they want to be mothers while supporting their educational ambitions when they're ready to start again is possibly the best way to optimise their success. #Focus5 is looking to support more young females and we are keen to utilise the funding available to help young parents with childcare costs while they access bespoke activities with our key workers. Activities can include help with finding suitable courses, accessing appropriate funding and benefits, preparing a CV and becoming internet savvy, applying for training opportunities or jobs, or simply starting from scratch with some confidence building and mentoring about life aspirations. Care to Learn - You can get up to £160 per week if you live outside London. You must be under 20 and be the main carer for your child. You can get help for publically funded courses within schools, sixth forms, other colleges including foundation learning and courses at local childrens centres. Funding can cover childcare including deposit and registration fees, a childcare taster session for up to 5 days, keeping your childcare place over the summer holidays and taking your child to their childcare provider. Childcare Grant - You may be eligible for childcare funding if you are accessing full time education and have children under the age of 15, or 17 for those with special educational needs. The grant does not have to be paid back and is paid in addition to any other student finance. You must be eligible for student finance to be able to apply. You can get up to 85% of childcare costs paid. The maximum you can get is £164.70 a week for 1 child and £282.36 a week for 2 or more children, all of which is means tested. The #Focus5 project is funded by the European Social Fund and the National Lottery, through the Big Lottery Fund.